Here it is! 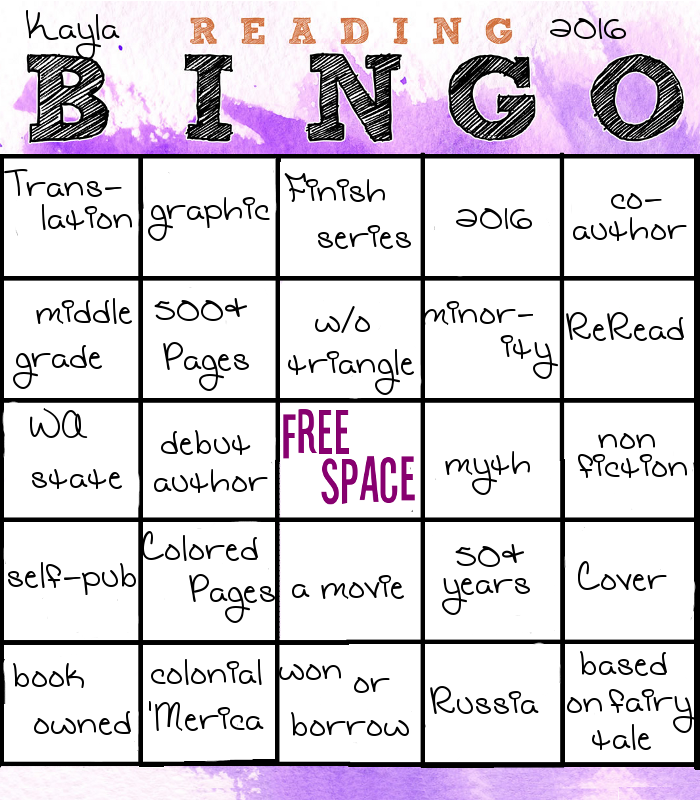 Reading BINGO for 2016! Well, at least my BINGO card anyway. My friend's card is shuffled a little differently. The rules are the same as always: each BINGO gets a small prize and the first to Blackout gets a fun pair of novelty socks. (We actually have a store that sells nothing but novelty socks. It's pretty rad.) As of January 1st the game is so on!